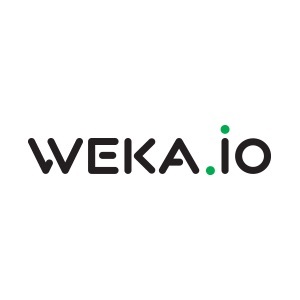 Today WekaIO announced record performance on the IO-500 10 Node Challenge benchmark. The Virtual Institute for I/O has placed WekaIO Matrix in first place on the IO-500 10 Node Challenge list, beating out massive supercomputer installations. VI4IO republished the 10 Node Challenge list with the new rankings indicating Matrix as number one—31 percent faster than IBM Spectrum Scale and 85 percent faster than DDN Lustre. The IO-500 10 Node Challenge is a ranked list comparing storage systems that work in tandem with the world’s largest supercomputers. By limiting the benchmark to 10 nodes, the test challenges single client performance from the storage system. Each system is evaluated using the IO-500 benchmark that measures the storage performance using read/write bandwidth for large files and read/write/listing performance for small files. Storage performance in supercomputers is critical for large-scale simulation, big data analysis, and artificial intelligence. The IO-500 list serves as a resource for companies looking to improve their storage performance, which in turn helps to improve both processor efficiency and application performance. WekaIO ran the IO-500 test on eight Supermicro BigTwin enclosures, representing less than half of a storage server rack, and scored better than the world’s fastest supercomputer which ran its system on a 40-rack Spectrum Scale storage cluster. The WekaIO Matrix software is an NVMe-native, highly resilient parallel file system that runs on commodity servers, delivering the highest bandwidth, lowest latency performance to any InfiniBand or Ethernet enabled GPU- or CPU-based cluster. The POSIX-compliant file system leverages an innovative, highly optimized software stack that leverages modern architectures such as low-latency NVMe-oF and massively distributed metadata. Built for enterprise grade high-performance computing, it tightly integrates object storage for best economics at scale and supports features such as snapshots, cloud backup and legacy protocols such as NFS and SMB. In this video, Barbara Murphy from WekaIO describes how the company’s fast parallel file system for NVMe devices speeds HPC and Machine Learning workloads.